FACT CHECK: Did 'NY Democrat Jenna Tull' Say 'Americans Should Be Euthanized When They Hit 70?" It's difficult for a politician to say anything if she doesn't actually exist. 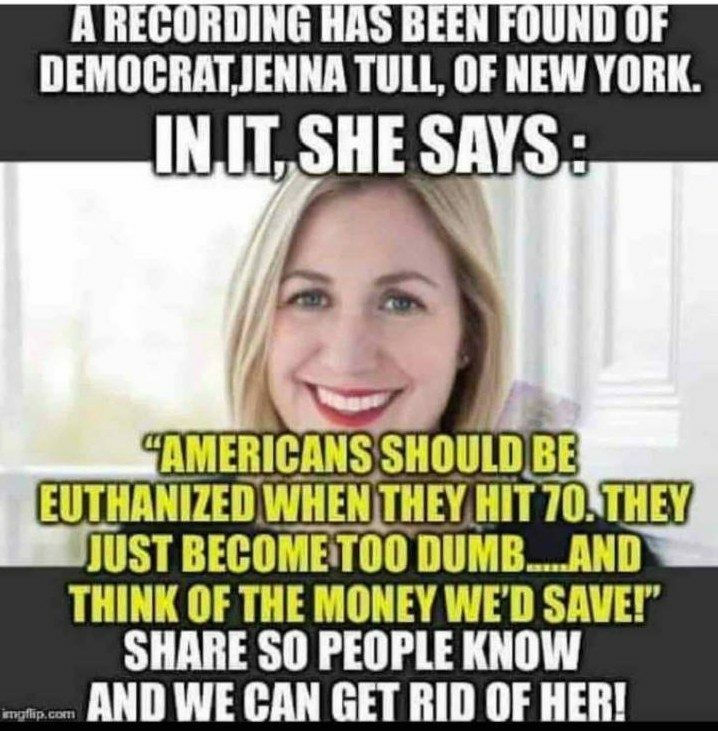 A New York Democratic politician named Jenna Tull said that Americans should be euthanized when they hit 70. This was not a genuine quote from a real politician. For starters, we were unable to find any record of a Democratic politician in New York by this name. New York has two U.S. senators (Chuck Schumer and Kristen Gillibrand) and 27 representatives, none of whom are named Jenna Tull. 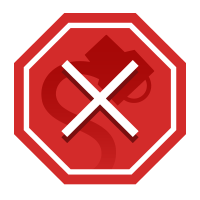 The name is also absent from a list of local politicians compiled by Elections.Ny.Gov. Furthermore, this meme does not depict a woman named Jenna Tull. The woman pictured in the image is Ciara Donlon, an Irish entrepreneur and founder of the company THEYA Healthcare. The American4Truth Facebook page originally shared this meme along with a claim about how the fictional Tull’s proposal would “wipe out just about all the democrats leadership and majority of democrats in office.” While this is not a genuine quote from an actual politician, the Democratic party does currently have more members over the age of 70 in Congress than the Republican party. By our count, the U.S. Congress comprises 23 senators (11 Democrats, 10 Republicans, 2 Independents) and 68 members of the House of Representatives (51 Democrats, 17 Republicans) above the age of 70. While it’s certainly more Democrats over the age of 70 than Republicans are serving in Congress, lawmakers of this age do not constitute a “majority” of either party. We should also note that while Democrats have more older politicians in Congress, they also have more younger politicians. The Washington Post tallied the number of “millennial” members for both parties and found 16 Democrats and 10 Republicans under the age of 38. The Washington Post. 3 January 2019. The Guardian. 6 October 2018.